Unit is programmed with desired times and phone numbers based on customer order. Account and/or group is set up on website based on customer order. Unit(s) are added to the account or new group and alerts are pre-set with certain balloon colors and activated. Users are created for person ordering device(s) and any additional users they request on order form. Website branding for group/account is completed. Correct time zones are set up. RFID tags are added to customer account if ordered. Email is sent to person who placed order with login information and usernames/passwords if new account. Devices shipped to your desired location. The following items are the responsibility of the customer upon receipt of the GuardTrax device(s). Please refer to our GuardTrax User Guide. Label the unit if there is more than one. Take the unit outside and acquire GPS. Logon ID and password sent by email to user. Contact GT Support to activate unit/ask questions/training. Confirm unit acquired GPS (check tracking page). Rename device/add any descriptions to unit information. Set up any alert emails needed for each device. Set up any geo-fences needed. Create additional users as needed. Deploy RFID tags to site and position; record device numbers and locations as you go. Using the RFID list create each RFID tag and map it. Set up any tours if needed. Set up any report subscriptions for clients as needed. Account and/or group are set up on website based on customer order. The following items are the responsibility of the customer upon receipt of the GuardTrax registration code(s). Please refer to our GuardTrax Android User Guide. Step by Step Guide to Downloading the GuardTrax Android Application. GuardTrax provides periodic firmware updates through a Firmware Upgrade Installer Application. This application must be downloaded to your computer so that upgrades can be performed promptly. Please download the Firmware Upgrade Guide for step by step instructions. Please download the Firmware Upgrade Installer Application . GuardTrax Android Software is available for download. 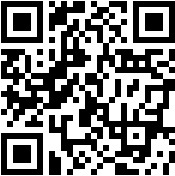 Or scan the following QR Code. What can GuardTrax do for you? Let us show you exactly how GuardTrax can help your company with a FREE DEMO customized to your needs. GuardTrax provides real time RFID tag location via 24/7 GPS wireless data connectivity.RFID scanning provides an additional determinant of location when GPS is not available (indoors for example) or when GPS is to be supplemented. RFID completes the location based information requirement and opens the door for extensive reporting and mapping.